This morning, before Catherine’s visit to King Henry’s Walk Garden it was announced that she has partnered up with Davies White Landscape Architects and the Royal Horticultural Society to co-design a garden for the Chelsea Flower Show in May and two further gardens for the RHS Hampton Court Palace Garden Festival and the RHS Garden Wisley in Surrey which takes place in July, A press conference is scheduled for February 11, 2019, but there is no word yet on if The Duchess will attend. For more information, read the press release here. Exciting news today! Catherine gave birth to a baby girl! 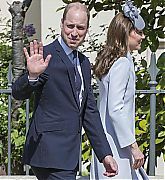 I’am currently adding photos to the gallery of Catherine and William leaving the hospital with their newest addition, please keep checking back all day as photos will continue to be added. Thanks so much to my friend Mary for already donating photos. Catherine looks stunning, the baby is adorable, and just like all of you I’m so excited. Once I calm down I’ll post a more detailed post, until then enjoy! Official — The Duchess of Cambridge gave a quote to the Times to mark their Time to Mind Children’s Mental Health Campaign. “I have been heartened to see that so much progress has been made in ending the taboo of adults openly treating mental wellbeing as the health issue it is. “I believe that our generation of parents, carers, teachers, and health workers now have the chance to give the mental health of our children the focus it requires. “I feel strongly that young people and parents need to know that they can ask for help. Just as with physical health, we need to act early to provide support when a child is faced with emotional difficulties. 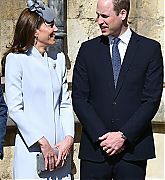 Official Site — Their Royal Highnesses The Duke and Duchess of Cambridge are delighted to confirm they are expecting a baby in April 2015. 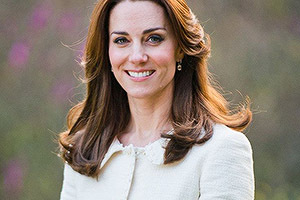 The Duchess of Cambridge continues to be affected by Hyperemisis Gravidarum, but her condition is steadily improving. On Tuesday 21st October, The Duke and Duchess of Cambridge will greet The President of the Republic of Singapore and Mrs Tony Tan Keng Yam on behalf of The Queen at the Royal Garden Hotel, London as part of the State Visit. 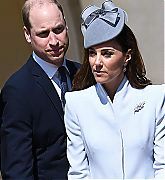 Their Royal Highnesses will then travel with The President and Mrs Tan to Horse Guards Parade, where The President will receive a Ceremonial Welcome. The Duchess of Cambridge will also attend the Wildlife Photographer of The Year 2014 Awards Ceremony at the Natural History Museum on Tuesday 21st October. Further details will be released in due course. 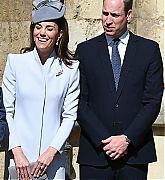 PrinceOfWales.Gov.Uk — Their Royal Highnesses The Duke and Duchess of Cambridge are very pleased to announce that The Duchess of Cambridge is expecting their second child. As with her first pregnancy, The Duchess is suffering from Hyperemesis Gravidarum. Her Royal Highness will no longer accompany The Duke of Cambridge on their planned engagement in Oxford today. The Duchess of Cambridge is being treated by doctors at Kensington Palace. 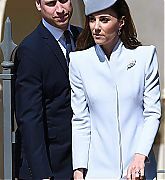 Congratulations to William and Catherine! She may seem like one of the most polished and elegant women in the world today, but at age 11, Kate Middleton had no problem portraying a poor flower girl with a thick cockney accent. New footage from the Duchess of Cambridge’s grade school musical from 1993, My Fair Lady, has surfaced, featuring the now 32-year-old in the lead role of Eliza Doolittle. The clip, originally obtained by the Daily Mail, features the mother of 6-month-old Prince George training to become an upright citizen with the help of Professor Henry Higgins. The original 1956 musical, based off the George Bernard Shaw play Pygmalion, was later turned into the famed 1964 movie adaptation, starring Audrey Hepburn as Eliza Doolittle and Rex Harrison as Professor Henry Higgins. 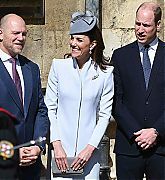 Though it’s not clear how long Middleton’s acting career lasted, she did a bit of modeling at the University of St. Andrews, which was where she met future husband Prince William. The Palace released a short statement saying William and Kate will be visiting New Zealand and Australia. The Duke and Duchess of Cambridge will visit New Zealand and Australia in April 2014. 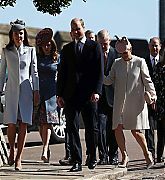 Their Royal Highnesses have been invited to visit by the New Zealand and Australian governments. Further details on the exact dates and itinerary will be issued in due course.